Properly Protected with the latest and greatest equipment from PPE Equipment, Gloves, Tyvek Suits, to Respirators, etc. All openings such as doorways, windows, vents, airways to be covered with 6 mil-poly. This will insure negative air can be maintained. Set-up Negative Air Machine to minimize airflow 4 to 8 ACH (air changes per hour). Pre-clean (Hepa vacuum) structure and remove all loose structural debris in doubled (6-Mil) sealed plastic bags. Then use the electric blower inside each containment area to suspend fine particulates so that they are captured by a Hepa filter. Demolition of contaminated structure, then double bagged and removed to dumpster daily. 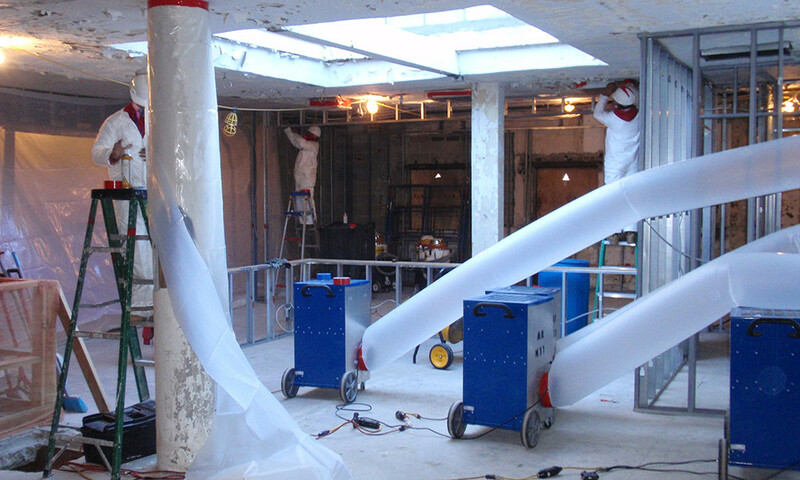 Scrape, wire brush, orbital sanding, Media and or Dry ice blasting to remove any visible mold growth from structural materials. Hepa vacuum, bio wash (wet wipe) then Hepa vacuum 2nd time (dust free environment). 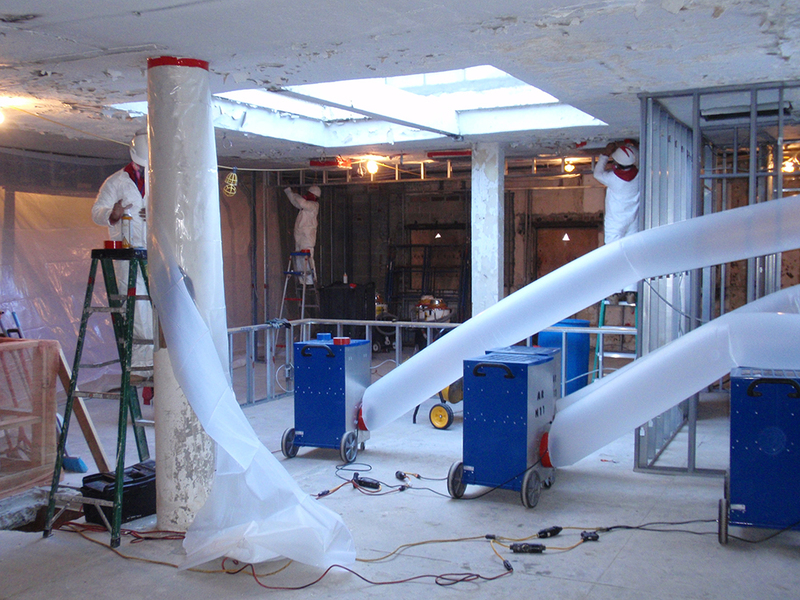 Clean and encapsulate any structure members affected by mold. (Organic surfaces) Hepa vacuum, double bag and remove all unsalvageable contents to dumpster. Pre-clean salvageable contents (Hepa vacuum) Hepa vacuum, wet wipe with bio wash. Then Hepa vacuum all contents again. Removal of all personal possessions as well as soft goods, i.e. clothing, bedding, curtains etc. Clothing may be cleaned using standard laundering products. Maintain Negative Air Machine and Air Scrubbers throughout course of job. Hepa Air filtration to run for a minimum of 72 hours after abatement is completed, and then shut down for a minimum of 24 hours before post remediation testing. Break down of containment barriers. 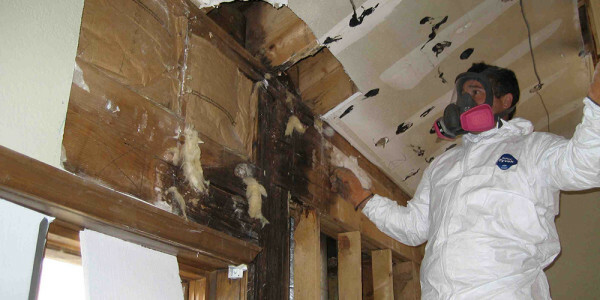 Our Upper Restoration professional in house technicians follow our well planned mold abatement process to take care of mold clean up and repair to your satisfaction. 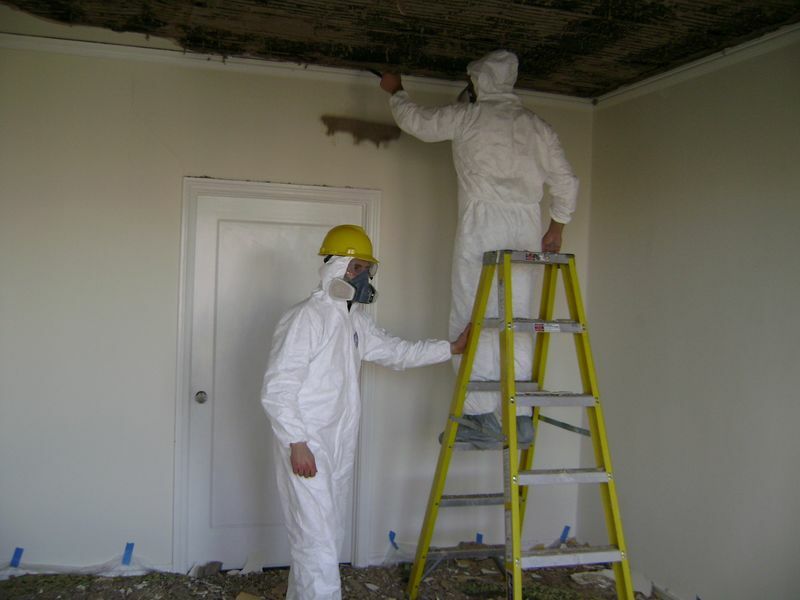 There are certain steps we follow that insure we get your mold clean up job done right. Mold testing is a key determining factor in how contaminated an area may be. 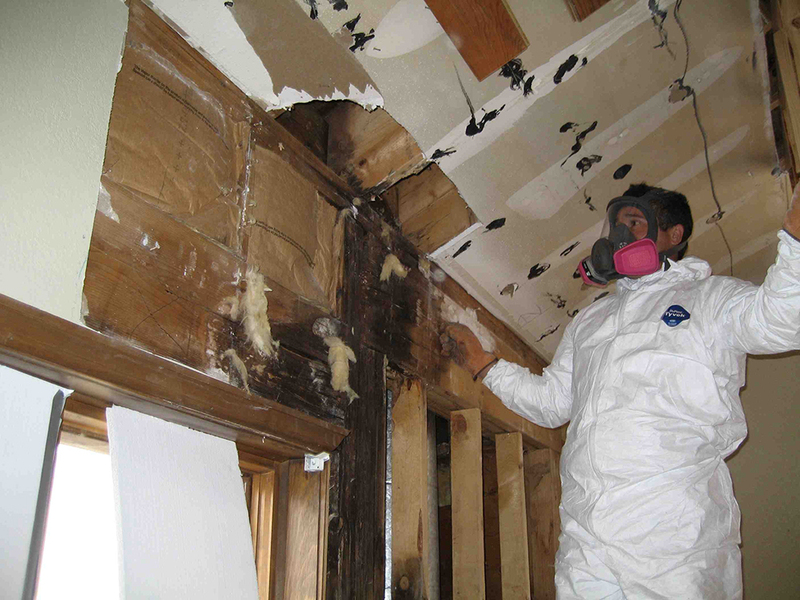 First and foremost it is import to be able to identify the specific type of mold as there are countless types. Some are more common for indoor environments and some to outdoor environments. Specific molds can contain mycotoxin, which can release harmful mold spores into the air and could later be inhaled. Mold is caused by above average moisture levels usually caused from flooding or poor ventilation. Molds occur almost anywhere, especially beneath surfaces that have been subjected to water damage like walls, floors and ceilings. 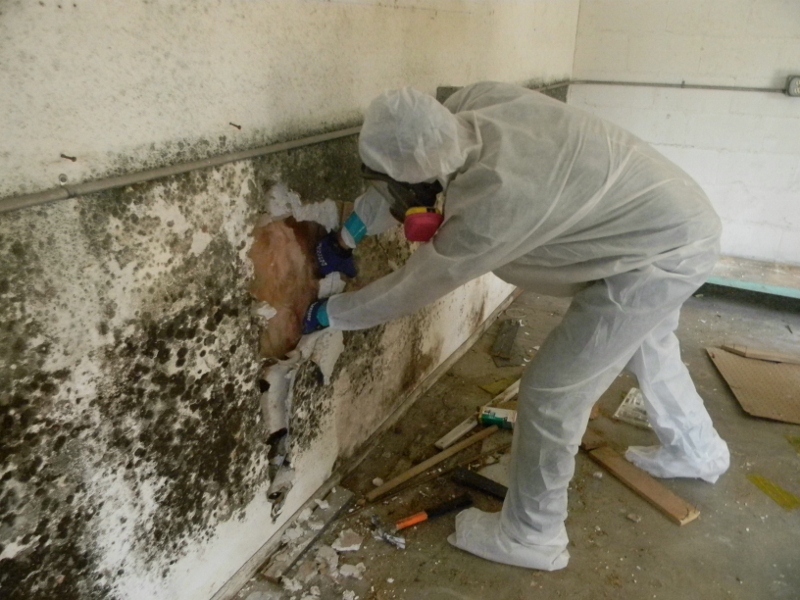 Our mold testing specialist are professional and will arrive at your home to test the air and materials to determine if there are any harmful molds present. 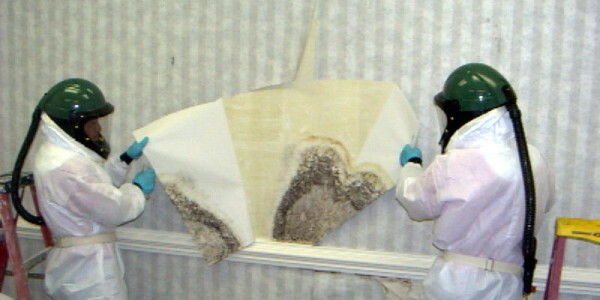 If mold is detected, our staff will take the necessary steps to determine its cause and origin. 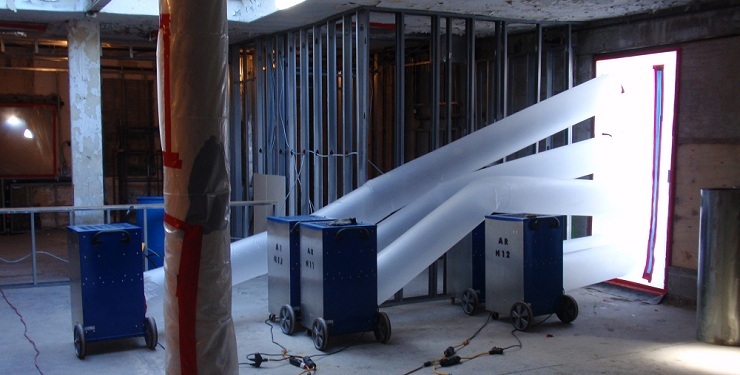 Upper Restoration’s professional mold testing team uses special equipment, and tools to collect air samples, swab samples, conduct visual inspections, test moisture readings, thermal imaging, relative humidity, and complete a building analysis to determine if the mold is a concern. The collected samples are then brought to our certified lab to discover which kinds of molds are present, and their threat level. Certified indoor air quality tests will be an asset in filing insurance claims if covered in your policy. 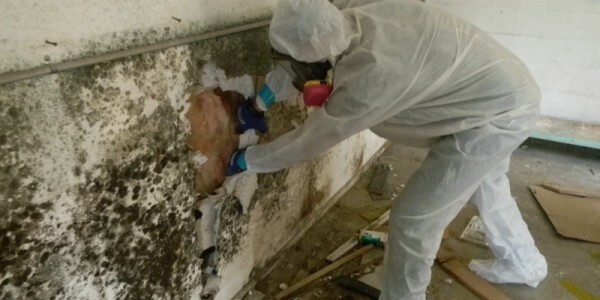 The next step would be to proceed with Upper Restoration’s mold removal service to eradicate the contaminated areas and restore them to their original state. Our certified removal specialist will remove visible and hidden mildew. 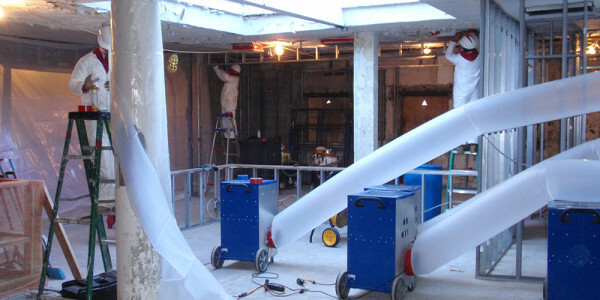 Upper Restoration will clean the air with specialized ventilation equipment, clean surfaces, and apply antimicrobial substances to contaminated areas.. Post completion of the mold removal process, our remediation team will conduct a clearance test to confirm that the mold has been fully eradicated.